A mother in Foley, Ala. was arrested Wednesday after police say she tortured her 6-year-old son with a scalding hot spoon. 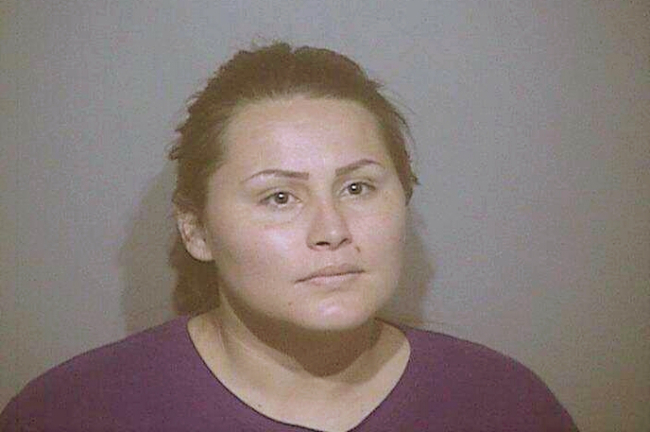 According to reports, 26 year old Maria Cortes was disciplining her child Friday, Sept. 8, when she heated a spoon on the eye of the stove, then pressed it to the lips of her child resulting in 3rd-degree burns. School officials notified authorities on Monday that the child was missing from school and the police went to the Cortes home to investigate. Cortes was arrested with a $10,000 preset bond. She was almost released, when police discovered she was in the country illegally. A judge then reset her bond to $100,000 and U.S. Immigration and Customs Enforcement (ICE) placed a permanent hold on her release. The boy received necessary medical treatment and was released into his father’s custody. Cortes has until October 10, 2017 to request a hearing.